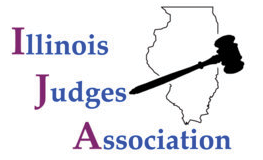 To commemorate the Illinois bicentennial, the Illinois Judges Association and Illinois Judges Foundation boards, the Illinois State Bar Association and Illinois Bar Foundation boards and the Illinois State Historical Society approved a joint project to oversee and pay for the installation of a magnificent photograph of lawyer Abraham Lincoln in every one of the state’s 102 counties by the end of 2018. 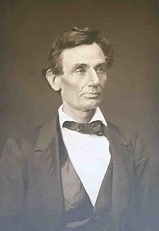 The lifelike canvas photograph in a rich stained-wood frame is a clear and commanding portrait of Lincoln at 30” x 40”. Lincoln considered the photograph his favorite. The portraits are to be placed in public view for years to come, recalling Lincoln the lawyer, the leader, and the man, as well as our participating organizations. The presentation is scheduled in Edgar County, 115 W. Ct Street, Paris, IL on September 21, 2018 at 1:30 p.m. and all members of IJA are invited and encouraged to attend.